There have been a mind boggling number of posts on Reddit since it was created, but which ones have done best? 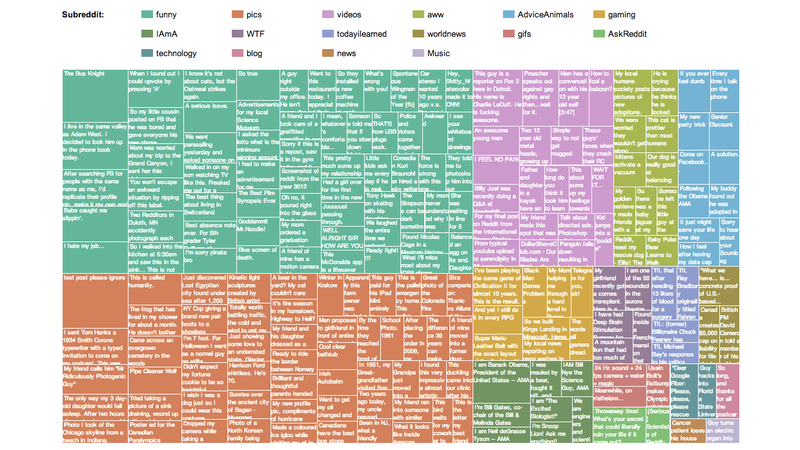 This visualization shows the 200 highest-scoring posts of all time from the site. In fact, this viz is a tree map: a means of data presentation where the area is recursively subdivided into rectangles, and the area of each one corresponds to its value. So in this case, the area of each rectangle represents the score the post got on Reddit.